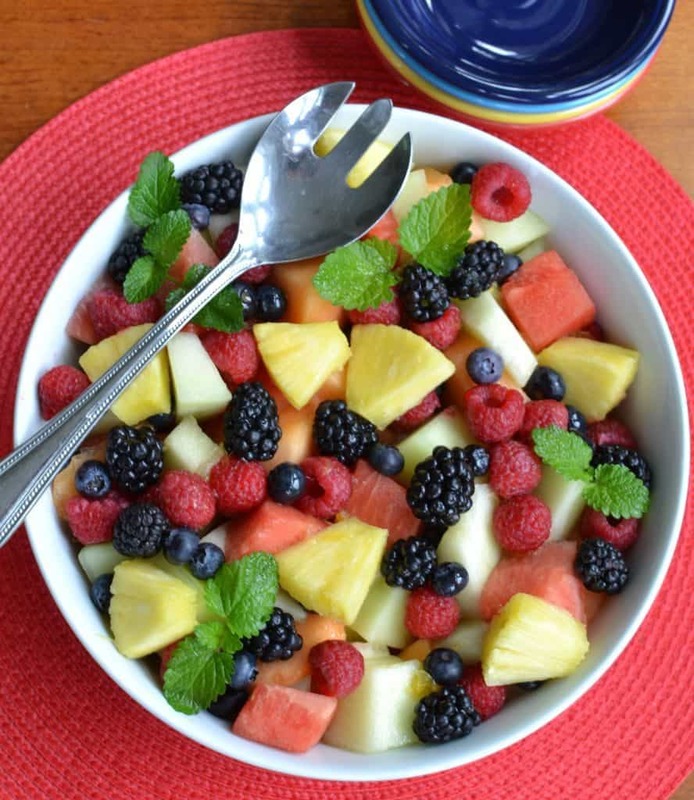 This Summer Fruit Salad is a real crowd pleaser. Cantaloupe, honey dew, watermelon, pineapple, raspberries, blueberries and blackberries are drizzled with lightly sweetened orange lime juice. Summer really brings such amazing flavor to the table. Nature really is incredible in her taste and bounty. I know our summers would not be complete without Summer Fruit Salad. This tasty treat is perfect for graduation parties, patio parties, neighborhood shindigs and pot lucks. It is as beautiful as it is tasty and can be assembled in short order (as my late mother used to say). The berry family is in full glory and flavor right now with the best of the best of the harvest coming in. The easy Summer Fruit Salad has a simple Orange Lime Drizzle that comes together in minutes. If you don’t like pineapple replace it with strawberries. If we put strawberries in our fruit salad my son could not eat it because he is allergic to them. He has always been so disappointed about the fact that he can not eat them. Summer fruit salad has so much to offer. It is so unbelievably flavorful, full of vitamins, minerals and fiber and astonishingly colorful! Make sure you get some of the best fruit that the season has to offer. 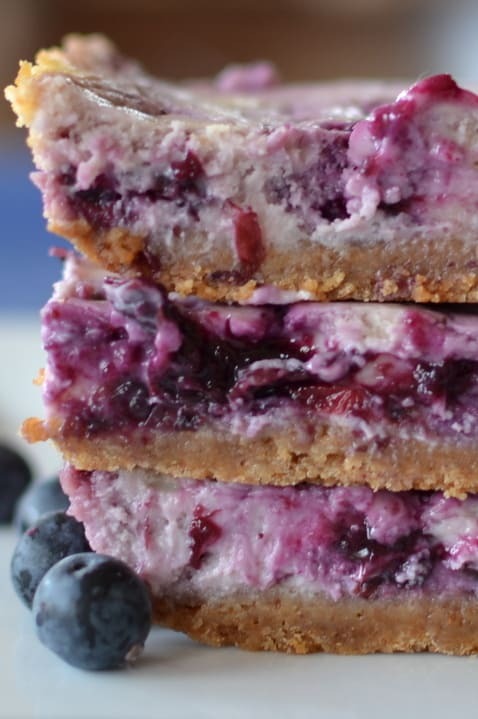 Here are some other delicious fruit recipes you will love. 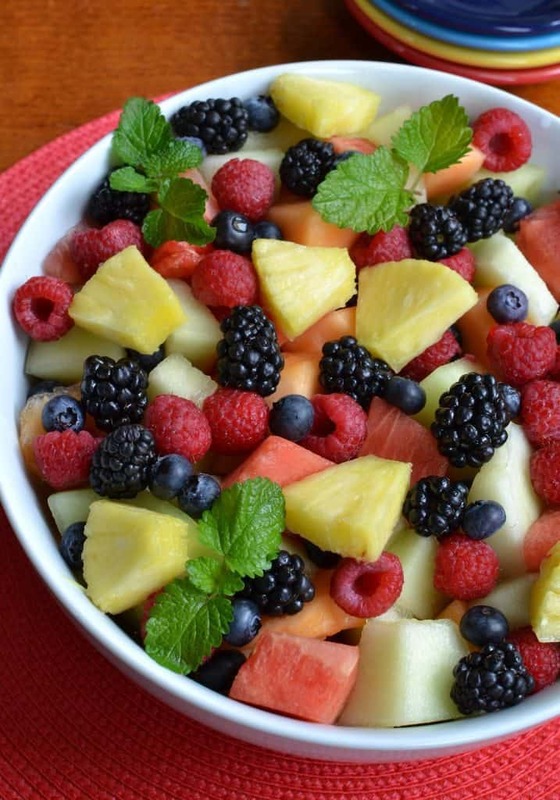 See, isn’t this Summer Fruit Salad just so pretty? The little sprigs of green are Wild Bee Balm. You can read more about it on Edible Wild Food. Isn’t it pretty? Hubby bought me some from the nursery and planted it last week with other spices and herbs. I hope you have a fantastic Memorial Day and you have a chance to try out this delectable Summer Fruit Salad. Juice the orange and lemon. Stir in 1-2 tablespoons of honey (to taste). 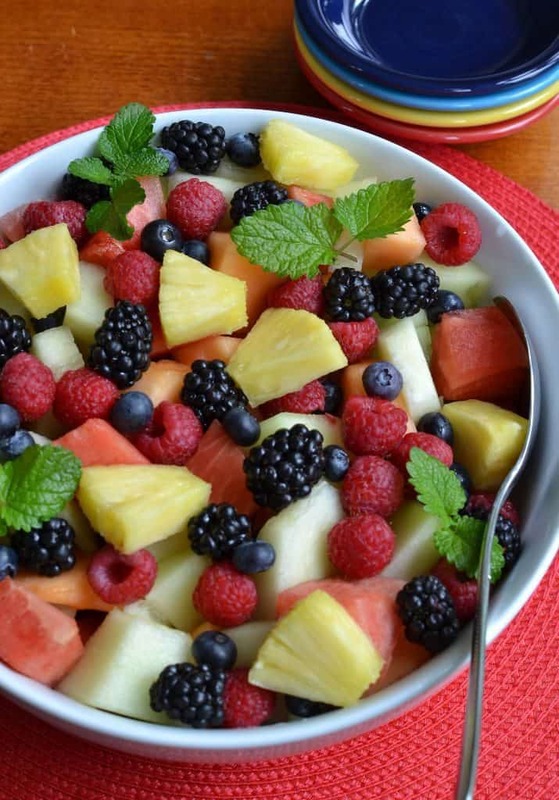 In large bowl add cantaloupe, honey dew, watermelon and pineapple. Drizzle with half of the orange lime juice and stir to combine. Add raspberries, blackberries and blueberries. Drizzle with the second half of the orange/lime juice. Stir gently to combine. If desired garnish with bee balm or mint sprigs. 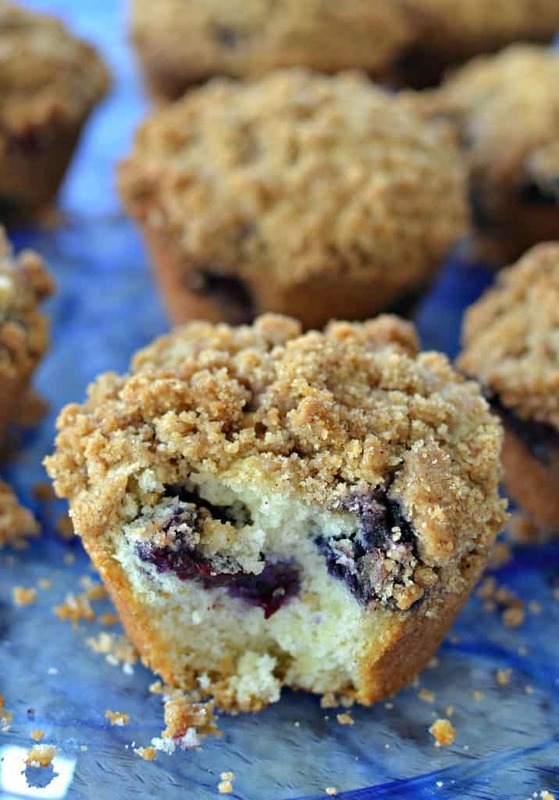 Other blueberry recipes you will love! !